Ceri offers continuous perinatal support and perinatal education to Mums and Families across the Brecon Beacons in Monmouthshire and Powys with classes and workshops that offer practical birth preparation, including effective techniques and tools for pregnancy and all stages of labour, which are centralised in Brecon and Abergavenny. As a breastfeeding peer supporter trained in two different approaches, a mum and a ' tell me a good birth story' birth buddy, Ceri brings a wealth of experience, compassion, sensitivity and positivity to her role as a Daisy Foundation Perinatal Educator. 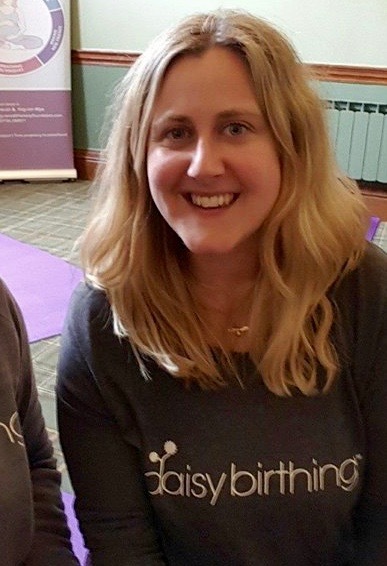 Ceri: "Knowing your options, informing your choices and learning about your body in labour, and how you can use simple techniques like birth breathing, affirmations and active birth positions to work with your body, maximises your potential of having a positive, empowered and confident birth." Enjoying a positive pregnancy, preparing for your confident birth and cutting through the overwhelm that can come from all the confusing advice out there as you find your way with your pregnancy, your birth and with your little one is what all new mums hope for. With the help of your local Daisy Teacher and in the safety of your Daisy community you can positively impact your journey of continuous perinatal support to confident motherhood.